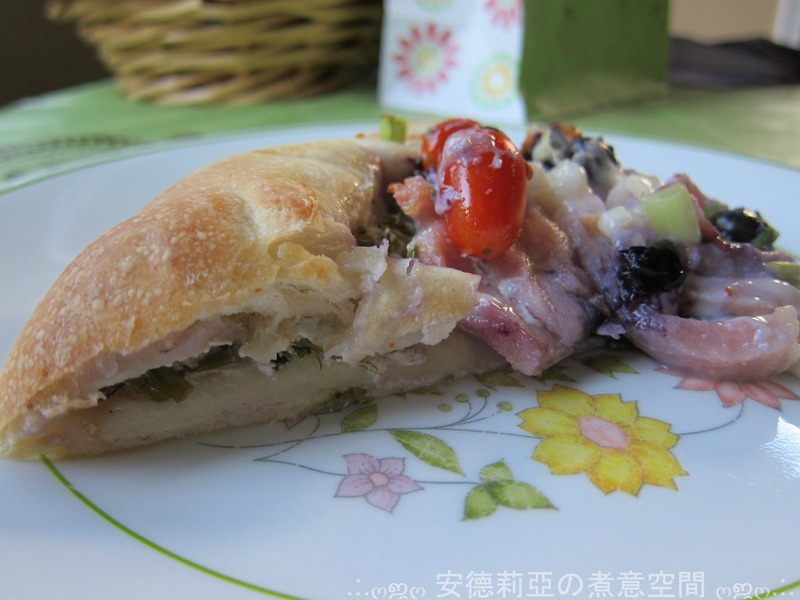 ㋡ 出爐麵包 ㋡ Bread | . :.ღஜღ 安德莉亞の煮意空間 ღஜღ.:. 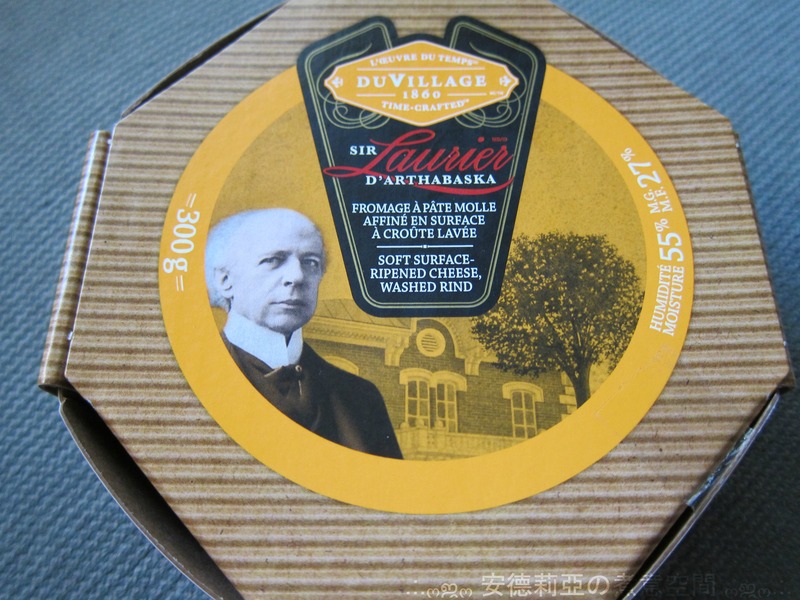 A Québec cheese packaged in a traditional corrugated cardboard box., and is named after Sir Wilfred Lauruer and his wife. 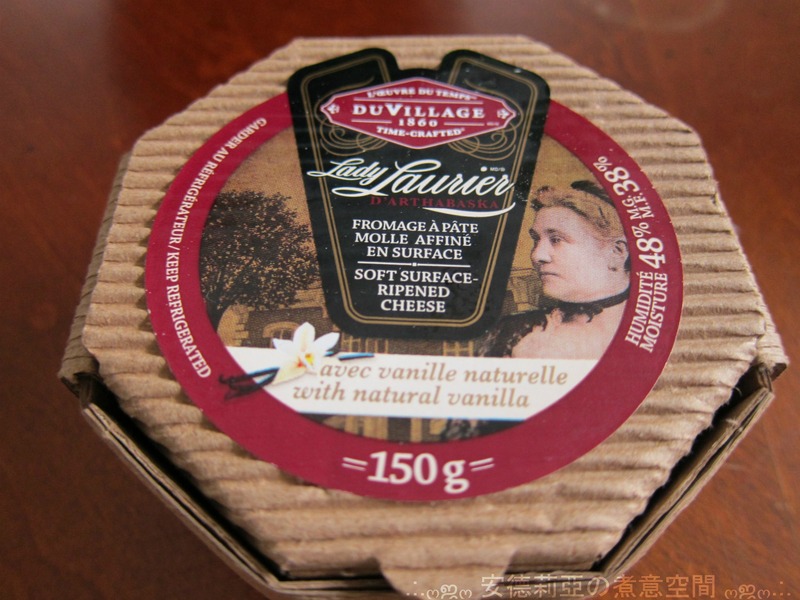 It’s very creamy and has a slight vanilla/floral undertone. 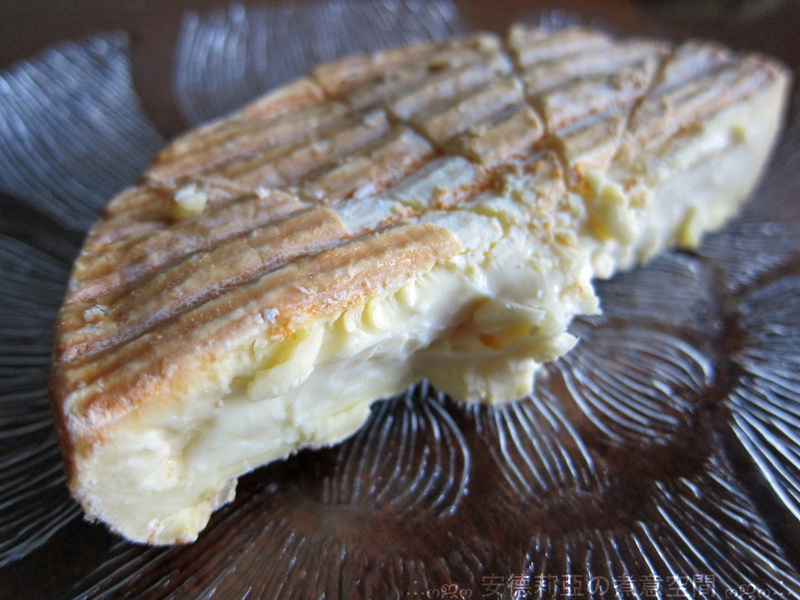 Not as runny as triple cream brie, the texture resembles softened butter. It’s very rich and just melts in your mouth. It is mellow in taste, but has a pretty pungent aroma. The rind is quite coarse, I don’t think it’s edible. 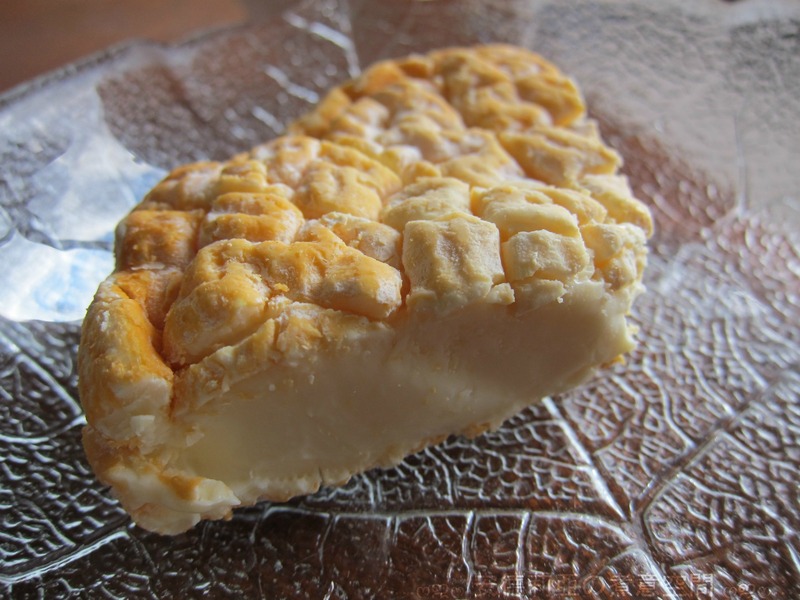 A soft, ripened cheese with a soft edible rind. 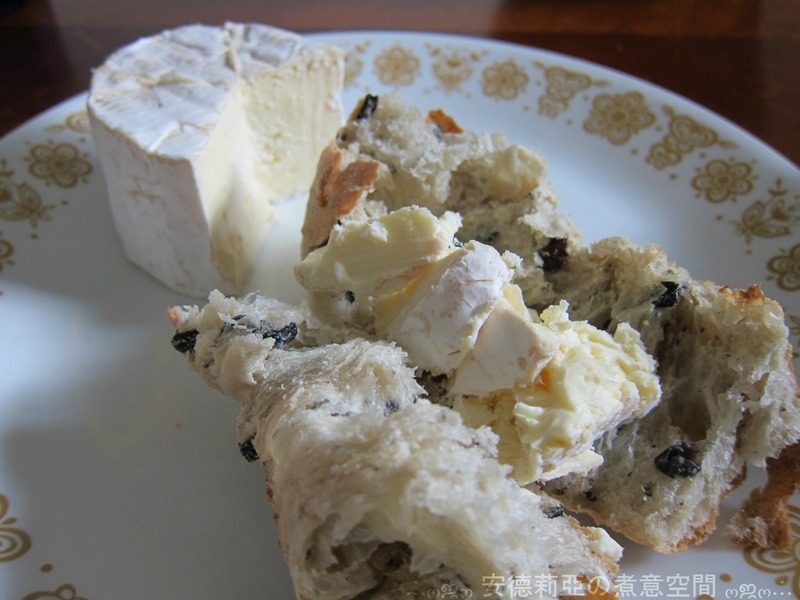 Interior is creamy and quite flavourful on its own. It is a bit too salty. 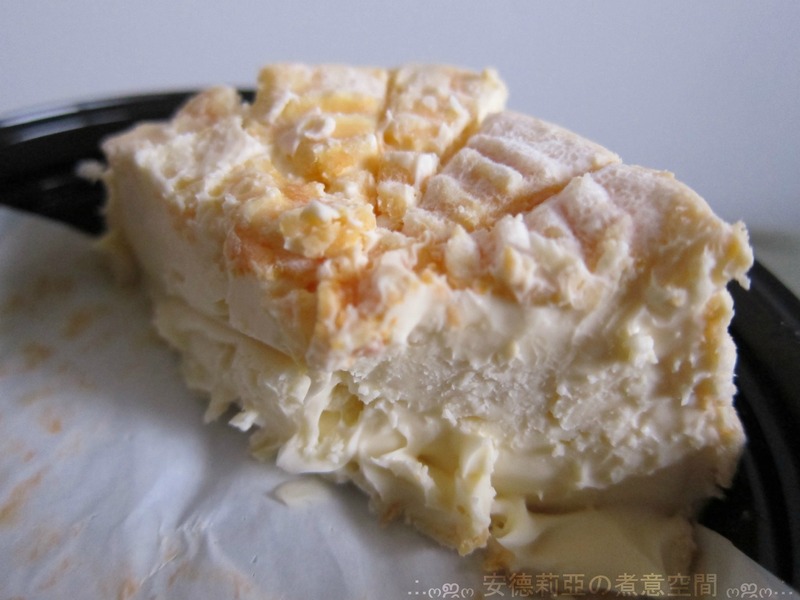 Champfleury is a unique washed-rind soft cow’s milk cheese that has the interior texture of a double cream brie enveloped in a delicious coppery orange rind. It has a pronounced bouquet and an irresistable fruity flavour. 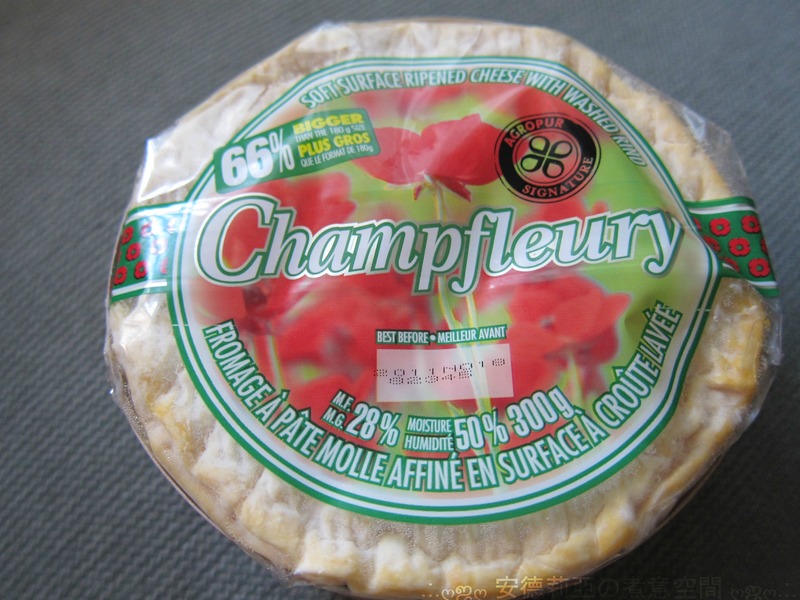 The poppy featured on the packaging, with its beautiful vibrant red petals, is a reminder of the French (Normandie) inspiration for this cheese. 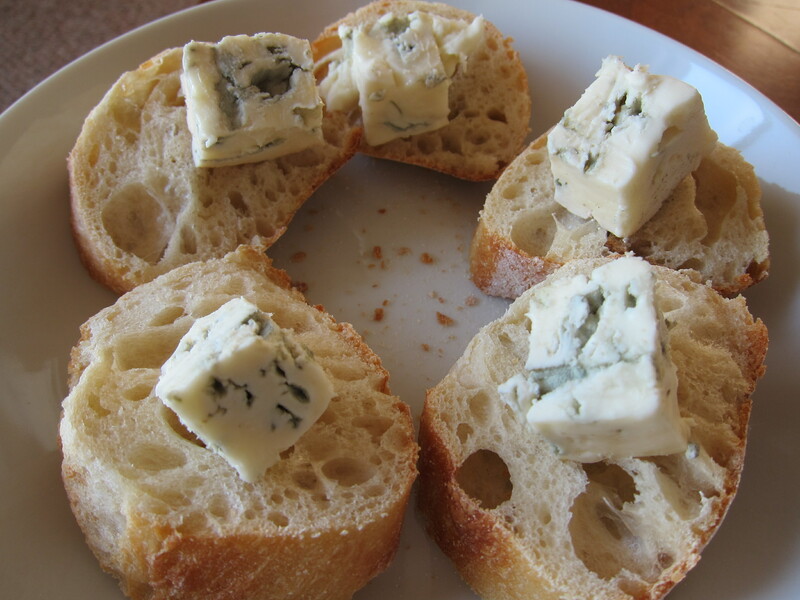 A creamy blue cheese that has a mild pungent taste. 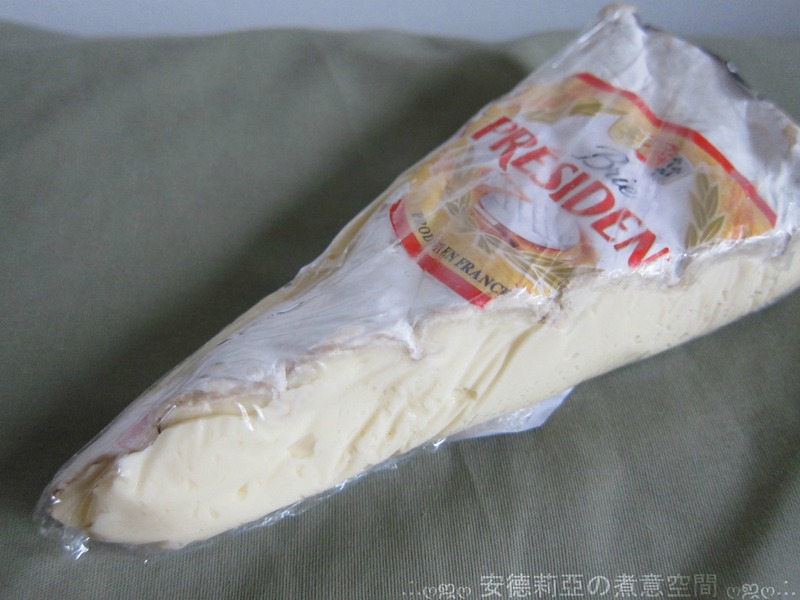 Creamy and buttery, a very flavourful soft ripened cheese. 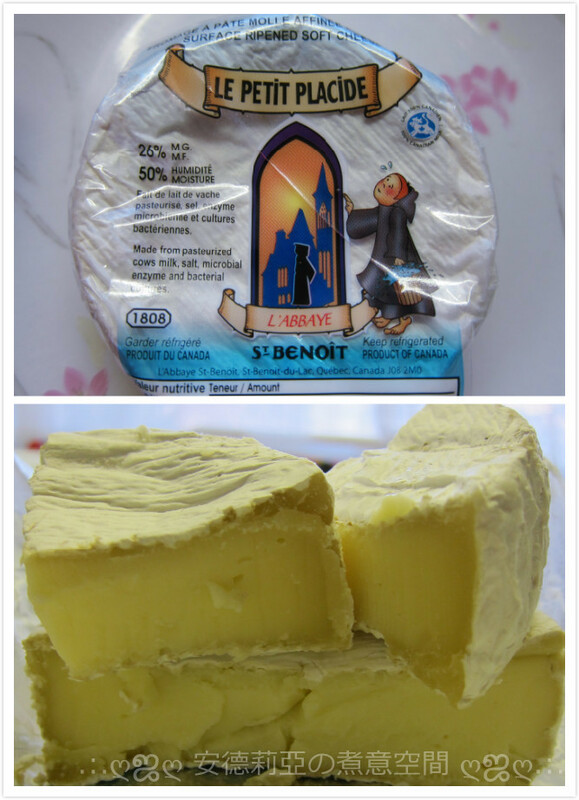 Soft surface ripened cheese from l’Abbaye Saint-Benoît, QC. It’s very dry and flavourless. The rind is also very dry and not every edible. 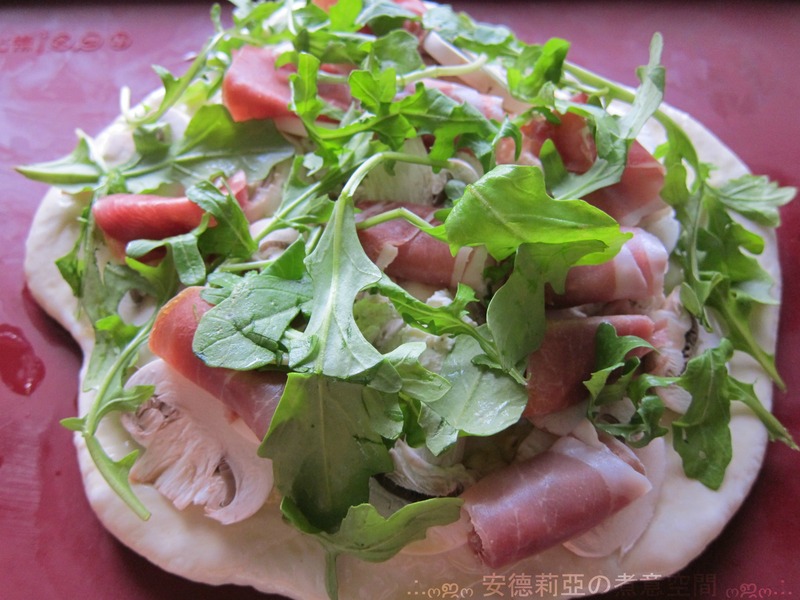 Should pile up more arugula. They shrink a lot after baking. Pepper flavoured. 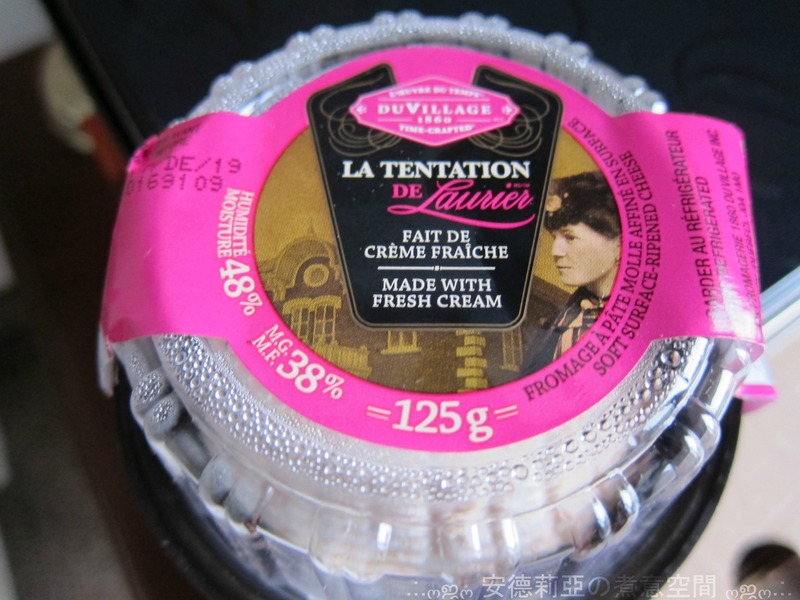 It is very creamy and mild in taste. 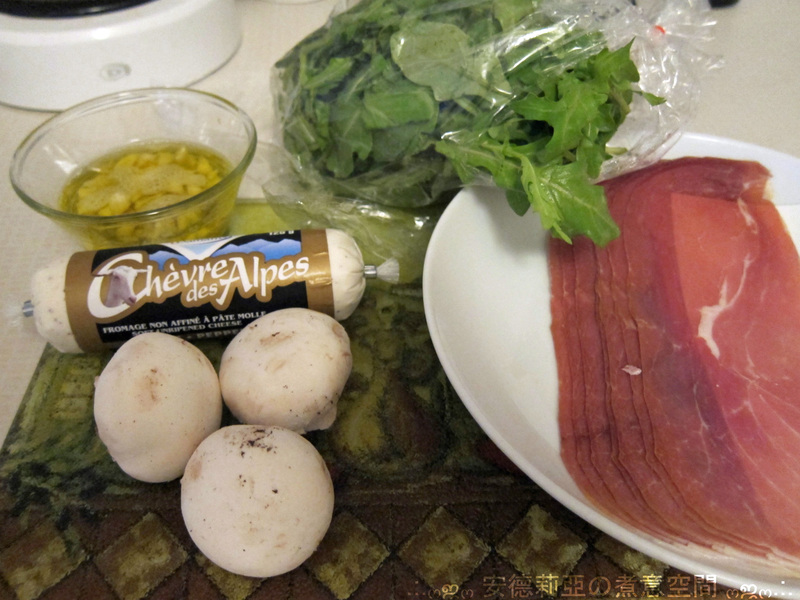 In a small bowl, combine goat cheese and basil until mixed. Add a grind of black pepper. Add some olive oil if mixture is hard to stir Set aside or allow to sit in the fridge. 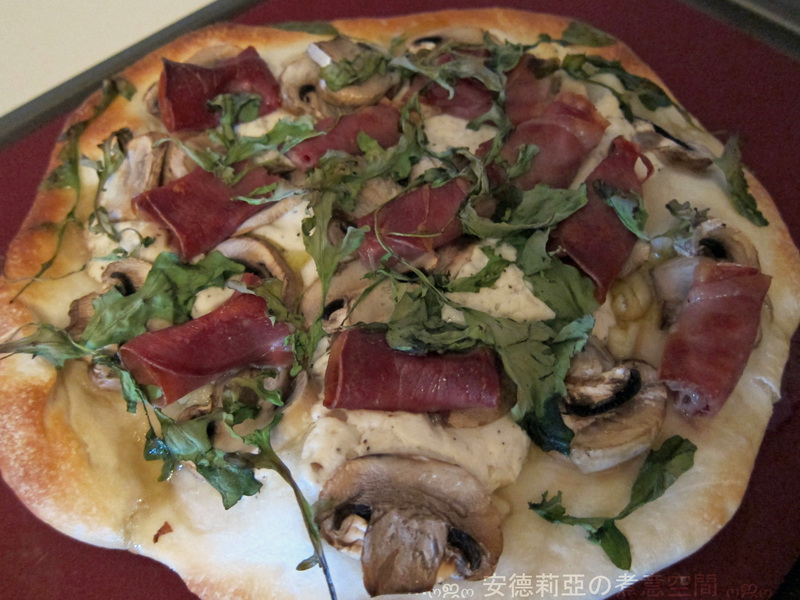 Lay the pizza dough on a lightly floured surface and roll very thin. 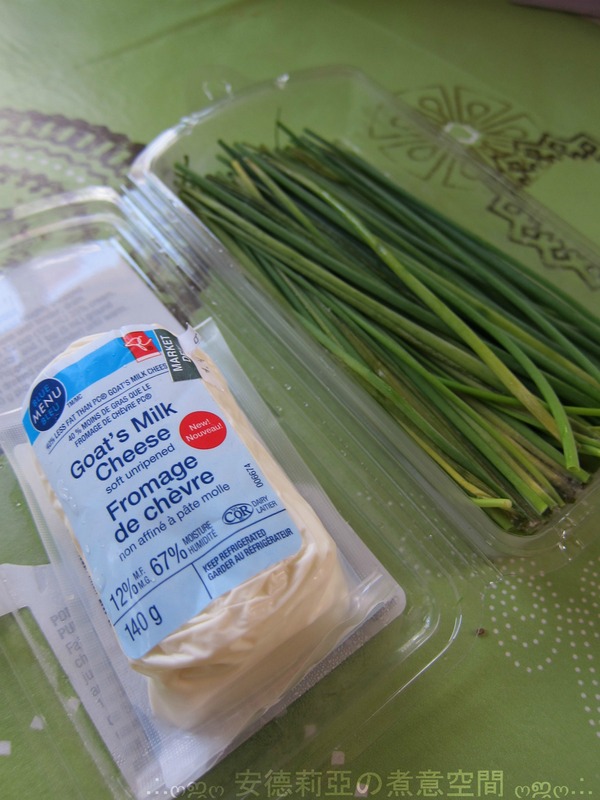 Along the outer edge (about 1 1/2 inches from the outside) place goat cheese around the entire outside. 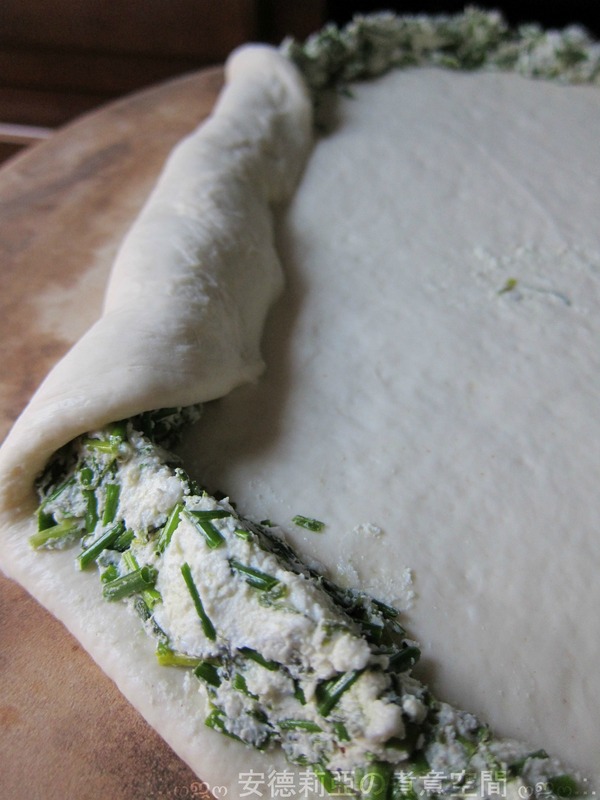 Fold dough over top and press down to seal the top to the bottom. 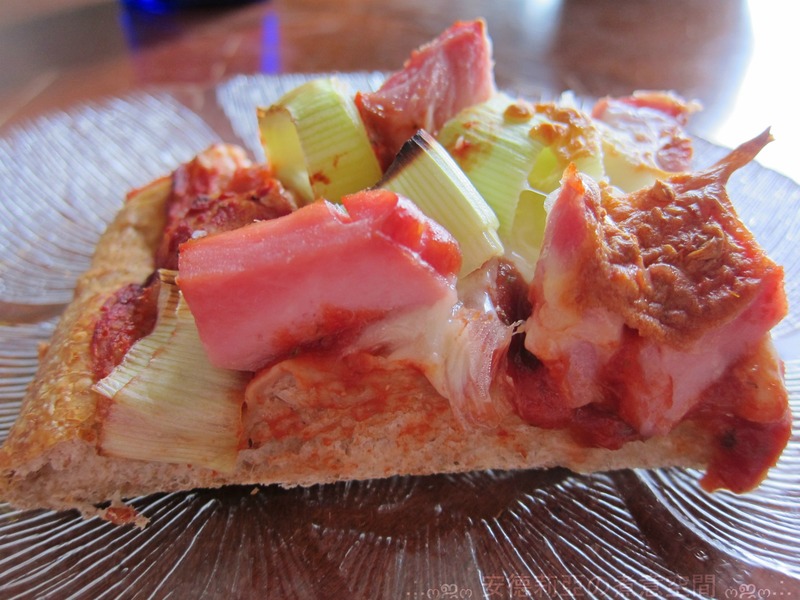 Lightly paint the pizza crust with olive oil, then layer the julienned peameal bacon on it. 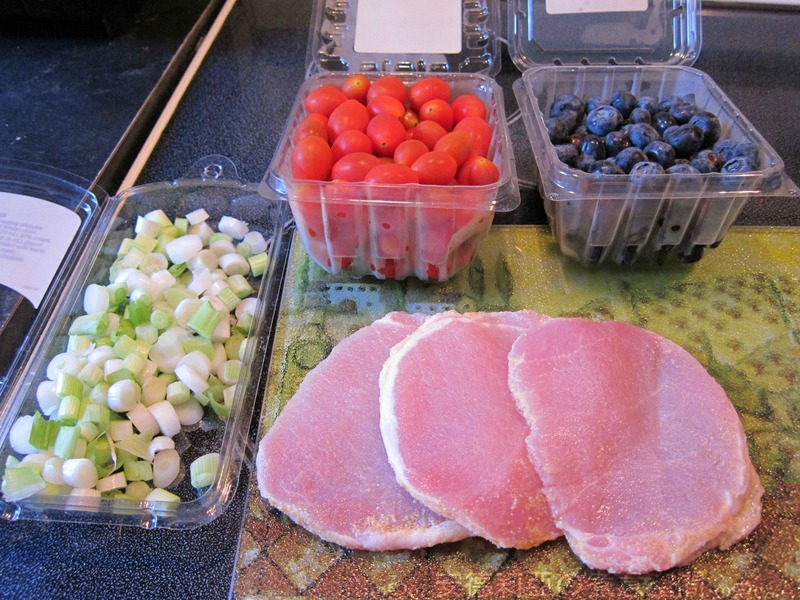 Sprinkle the scallion over the peameal bacon, then add the cherry tomatoes and blueberries, evenly distributed. 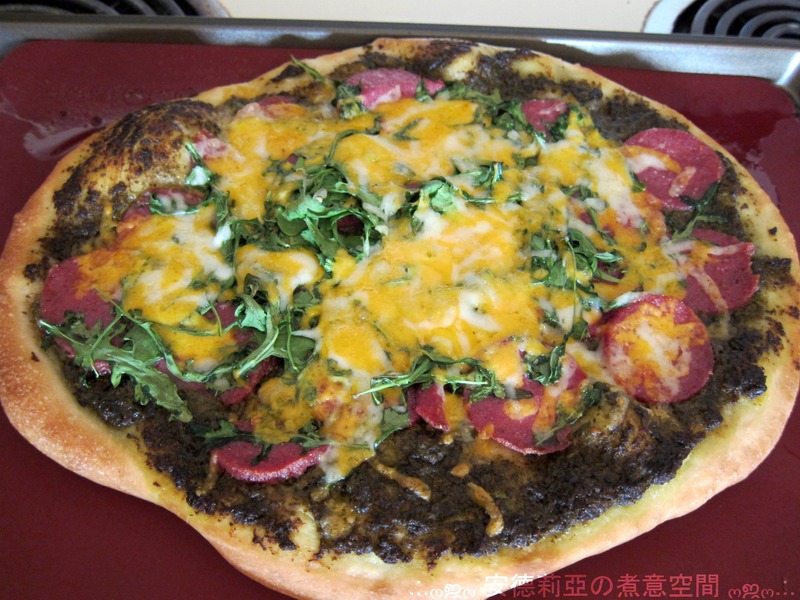 Top with skim mozzarella. 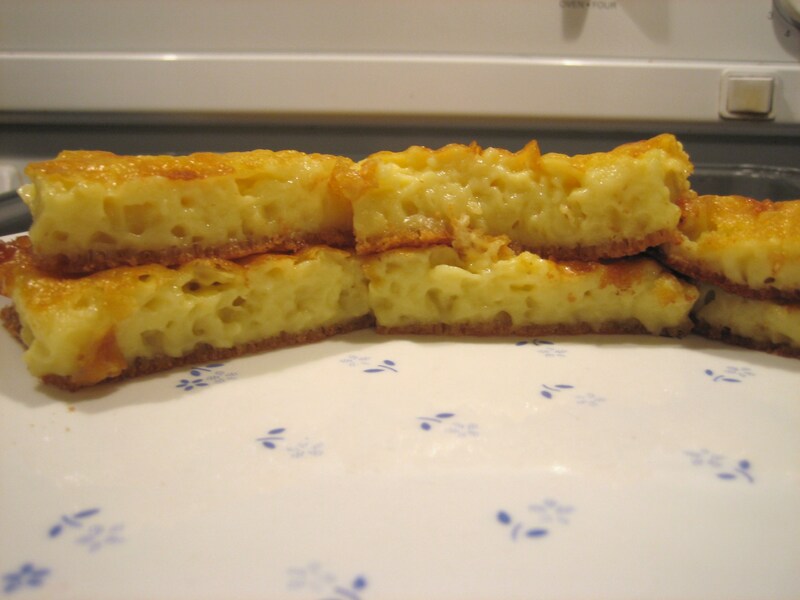 Bake for about 15 minutes, until the crust is done and cheese begins to brown. The food processor method did not work out very well. I ended up hand kneading the dough. First time for everything 🙂 The rolls were soft and fluffy inside. 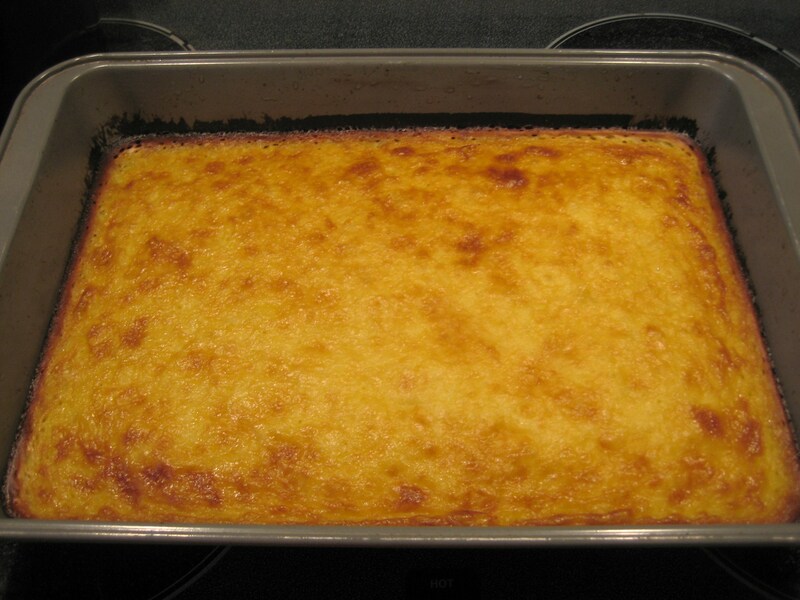 Combine flour, yeast, salt, and 1 teaspoon sugar. Slowly add warm milk and knead dough. 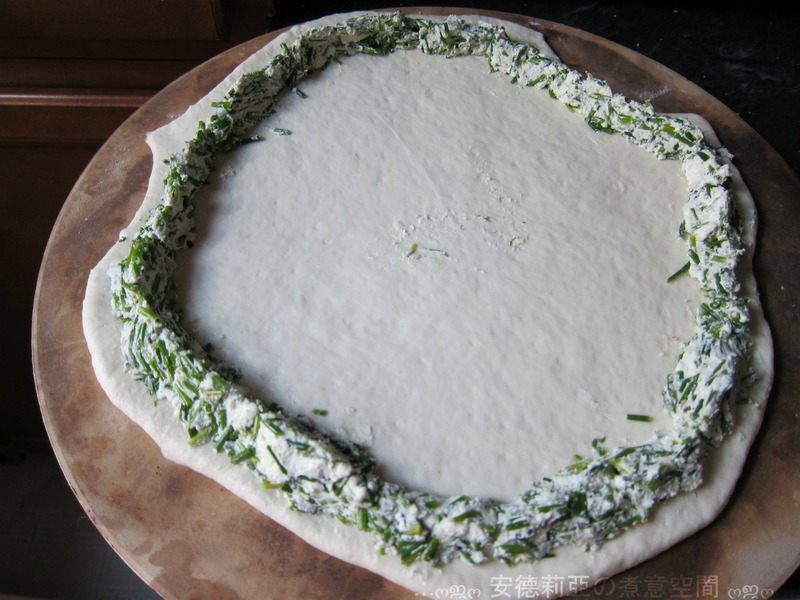 Remove dough from workbowl and place in an oiled bowl, cover with plastic wrap, then a towel. 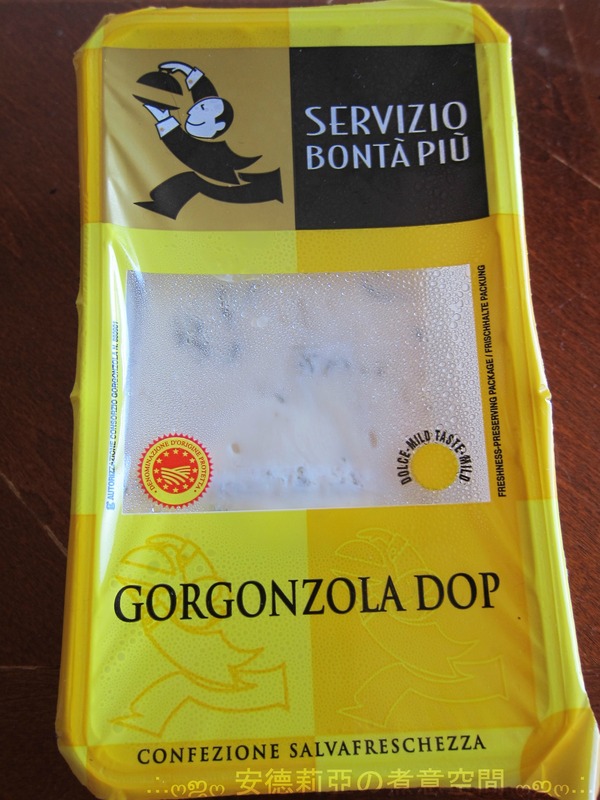 Place in a draft-free place to double in size (20-60 minutes depending on what kind of yeast you used). 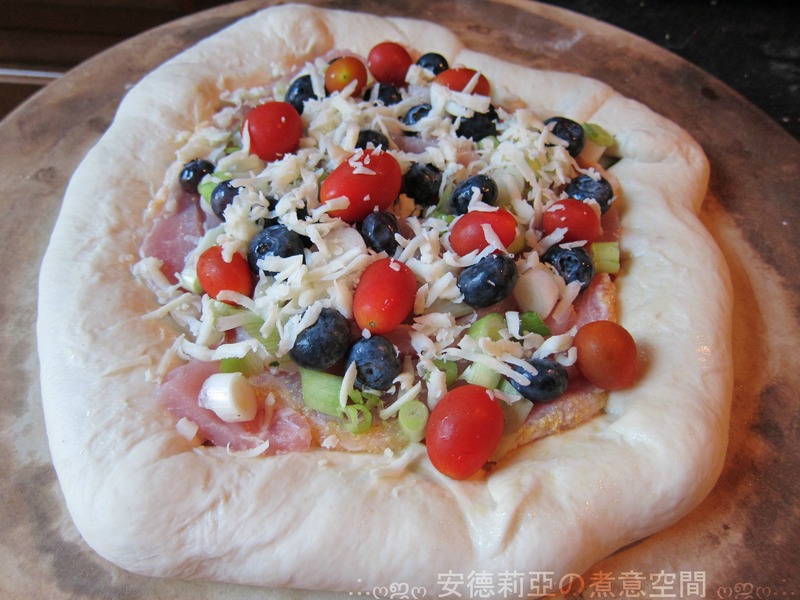 Punch down dough and cut into 8 equal pieces. 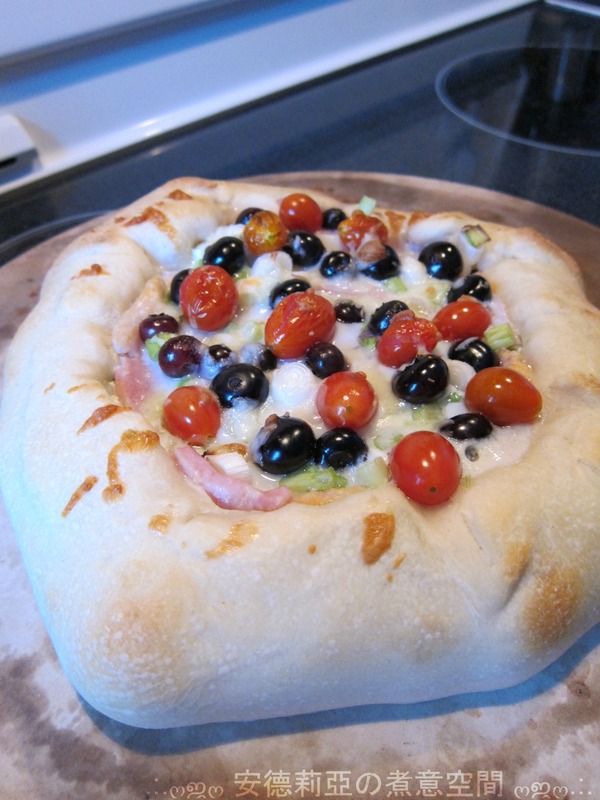 Using your clean counter, cup your hand around one dough ball and using a circular motion, shape roll into a smooth ball. Place rolls on a parchment lined sheet pan; space evenly. Cover with towel and place in a draft-free location to double in size. Preheat oven to 375F. Brush rolls with beaten egg white and sprinkle liberally with coarse salt. If desired, you can use a sharp knife or kitchen shears to snip an “X” on top of each roll (make deep cuts). 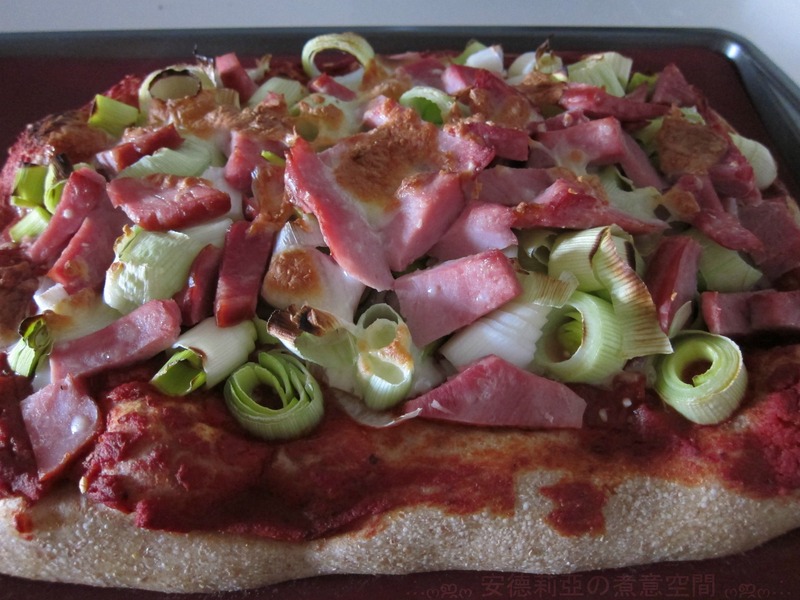 Bake in a 375F oven for about 25 minutes. Cool on a rack for 10 minutes before eating. Best if eaten the day they’re made. 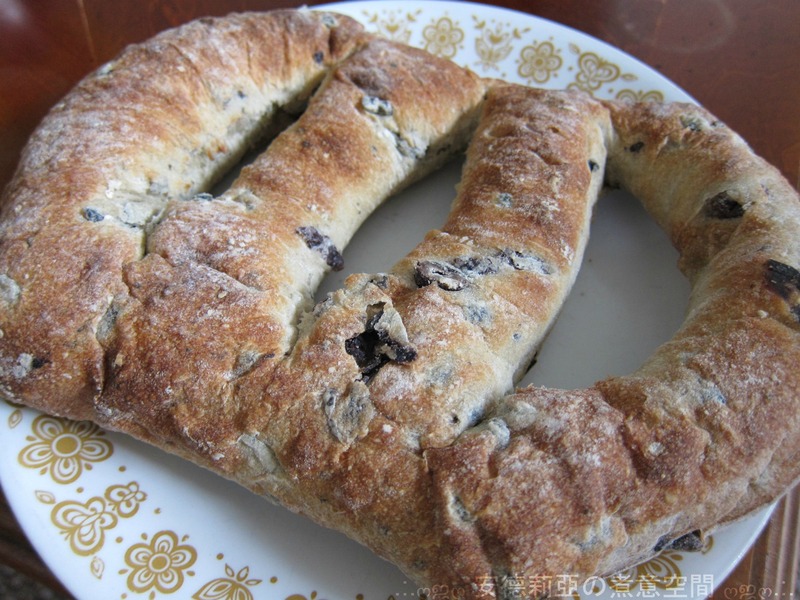 Depending on the yeast you use, this recipe will take 2-3 hours from start to finish. 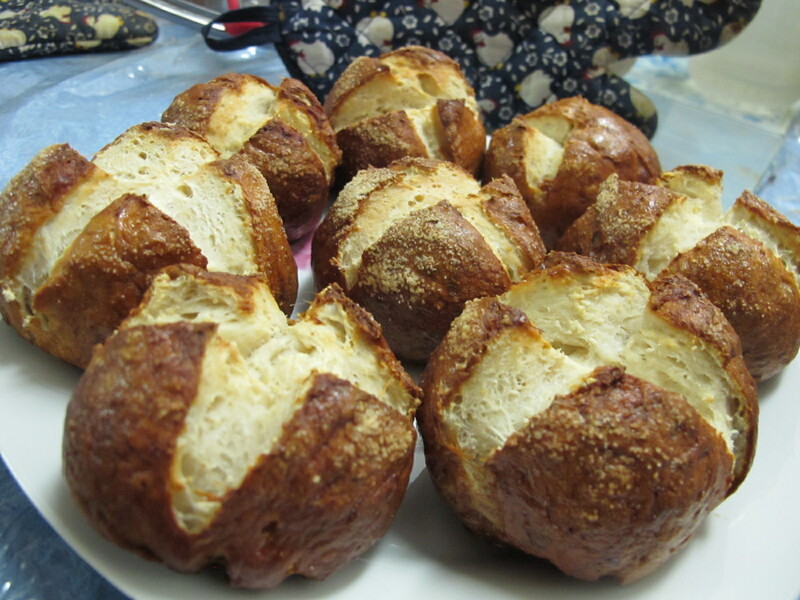 Although these rolls are really yummy when they’re still warm, I find they taste most like a pretzel after they’ve been allowed to cool completely. 做黃金糕最重要是確保發酵成功, 所以發酵的時間和溫度很重要.電飯煲的保溫功能可維持溫度於攝氏40度左右, 是發酵的最佳時間. 利用電飯煲的保溫功能來做發酵, 可解決因天氣和溫度影響, 而做成發酵不足或發酵過度而變酸的問題. 初次發酵時, 要每隔15分鐘將粉漿攪動1次, 確保發酵均勻; 粉漿倒入糕盆後, 則不可再攪拌, 這樣做出來的黃金糕才會出現均勻的小孔和坑紋, 吃起來才能鬆軟彈牙.